Just a quick update to let you know things still look about the same for tomorrow, although models have backed off SLIGHTLY on the amount of wind we get and position of the surface low. Gusty south wind spreads onto the coastline late tonight, then it’ll be windy all day tomorrow out there. 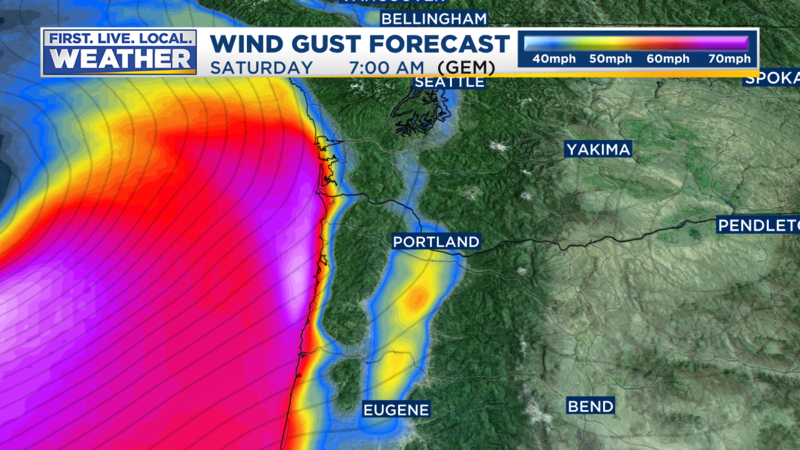 Strongest wind at the coastline will be in the first half of the day…gusts 55-70 mph are likely. Gusty south wind arrives in the Portland metro area and western valleys from Longview to Eugene right around sunrise. I expect a wide variation in peak gusts since it’s springtime; strong wind overhead mixes down in “bursts” in this setup. Wind will come and go all day long. 35-50 mph speeds likely for most of us. A few very exposed spots (Chehalem Mtn, top of West Hills, top of Mt. Scott etc…) could see gusts over 50 mph. 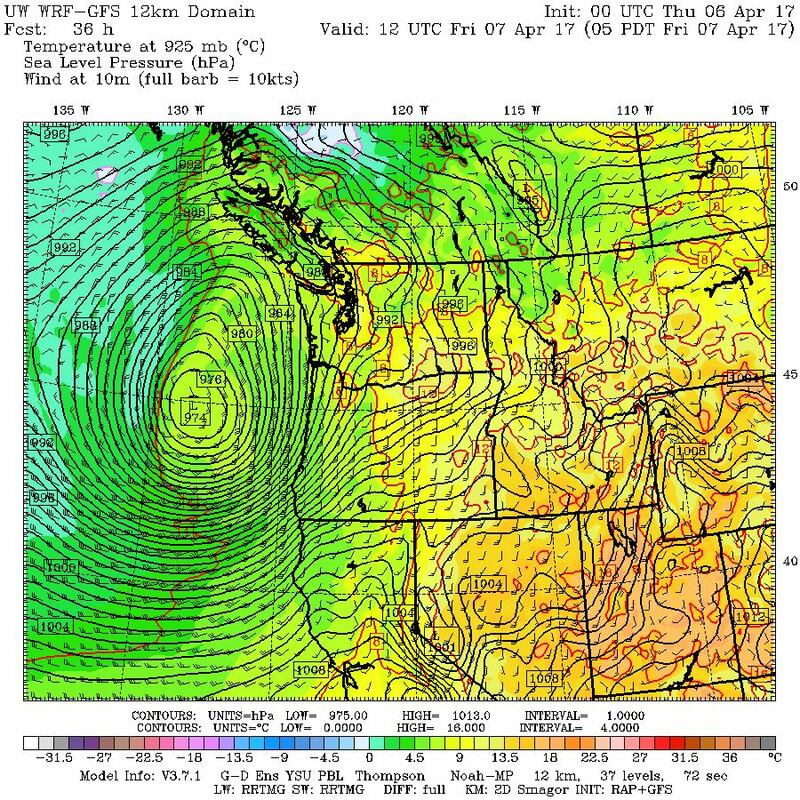 This isn’t a big storm, but a pretty good “wind event” for April. Some limbs/trees will fall of course and there will be plenty of power outages. The NWS has upgraded the High Wind Watch to a High Wind Warning for the western valleys of NW Oregon and SW Washington. Typically you need 58 mph gusts for a HWW to verify, but I think that’s unlikely for 90% of us. 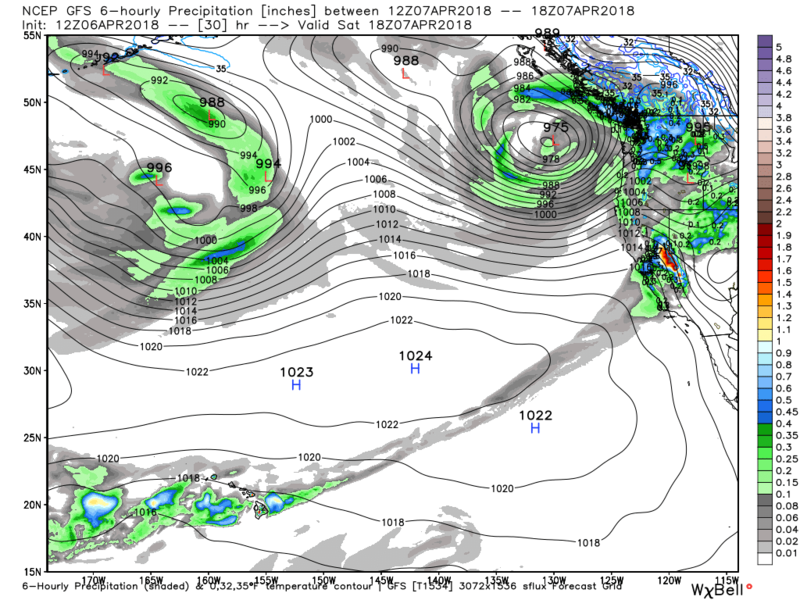 They are concerned about a few pockets of strong overhead wind mixing down to sea level at some point during the day; we’ll see how that plays out. My gut feeling is that the airports (official observation locations) will likely be in the 40-50 mph range tomorrow. Those speeds are still the strongest we’ve seen this entire storm season…it’s been a quiet year! Ahead of the storm, enjoy the warmer temps today, satellite imagery shows some pockets of clearing finally arriving. It should be a warm afternoon with showers not returning until sunset or beyond. 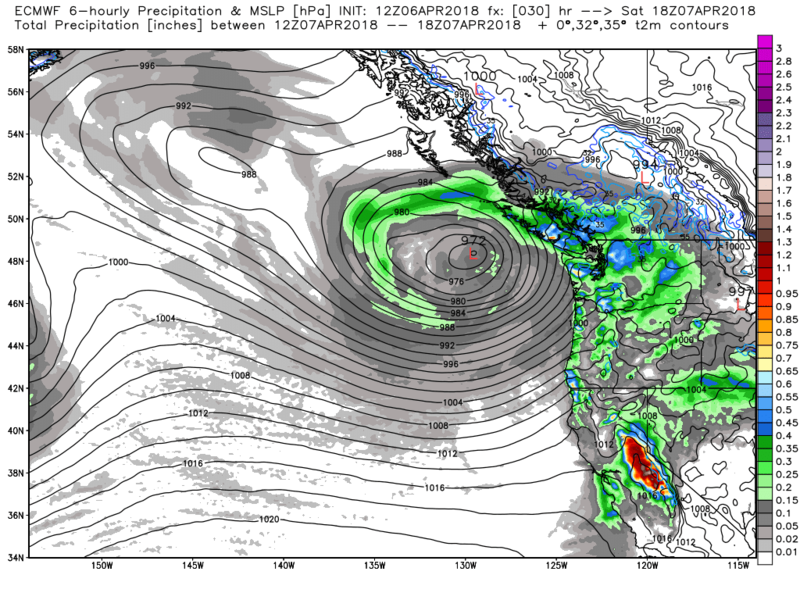 You are currently browsing the FOX 12 Weather Blog blog archives for the day Friday, April 6th, 2018.